The Forest Law No. 16/2017/QH14, which is newly adopted by the National Assembly on November 15, 2017 clearly stipulates that the ethnic minority communities living in the forest areas have the rights to land allocation for forestry, agricultural and fishery production. However, in order for this provision to be implemented in reality, the LandNet should continue working with CIRUM and civil society to develop models of community forest protection and development and contribute ideas to coming stipulation of sub-law documents. 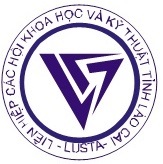 This is the message repeatedly mentioned in the workshop on reviewing yearly LandNet activities in 2017 and 2018-2020 strategic plan, held in Hanoi on December 14, 2017. With support from CIRUM, the workshop was attended by representatives of nine ethnic groups from seven mountainous provinces in three regions: the North, Central and the Central Highlands, representatives of the Association of Southeast Asian Studies (SEARAV), Brot and LISO Alliance. Following the opening remarks of the LandNet representative, CIRUM staff briefly presented the process of contribution to Forestry Law and LandNet's role in lawmaking. 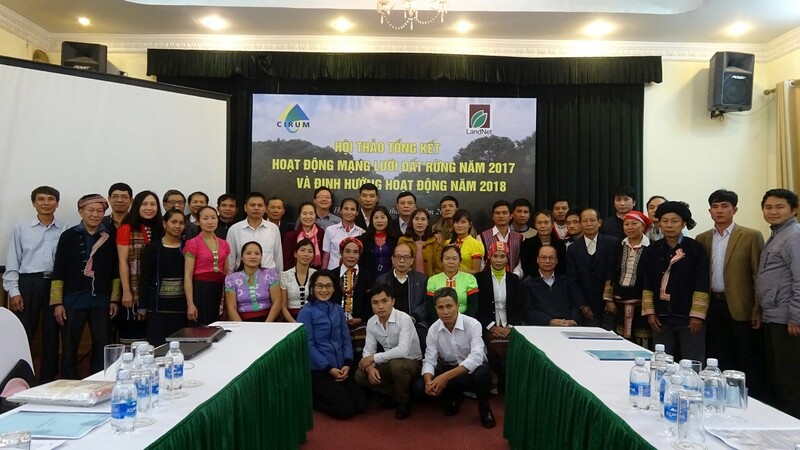 The participatory models of forest land allocation, good use and protection of forest land resources, respect for customary law in forest land management are the foundation for LandNet members to make suggestions for Forest Law, Land Law and other relevant documents. Regional representatives review the activities, showing a year for active promotion of nurseries for indigenous species, forest enrichment and conversion from ineffective short-term cash crops or monoculture (e.g. eucalyptus) to high value forest trees. 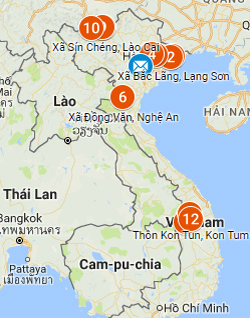 The network in some areas has developed valuable medicinal plants such as Sâm Ngọc Linh (Panax vietnamensis), Đương quy (Angelica sinensis), Bo bo, Sa nhân (Amomum villosum) and development of traditional medicinal plants for sauna and healing. These activities are the continuation and promotion of the results of forestland allocation, so that the community can clearly demonstrate the environmental, social, cultural and economic effects of forestland use rights. In the LandNet strategic plan for 2018-2020, priorities for the central level are set for advocacy for community rights to forest land allocation after solving land overlapping and land conflict between community and other actors; Forestland tenures and community ownership of natural forests in the coming revised by-law of Forestry and the revised Land Law. Priorities at village level will be transferring forestland from state organizations, enterprises, or communal authorities to communities; promoting land and forest allocation to the community, and increasing income and developing brand of the community value chain of medicinal products, non-timber forest products, while ensuring the community benefits in fair trade. Crosscutting activities will be the continuation of LandNet capacity building. Specifically, there should be sharing and exchanging on forestland rights for local communities and local government officers, developing sustainable livelihoods models for ethnic communities. 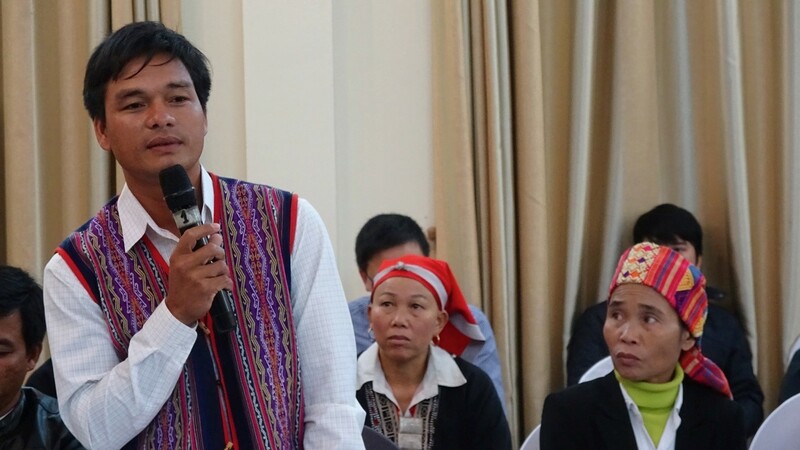 Pilot models should be combined with research and evidence-based advocacy for policy improvement and development of a network of sacred forests (e.g., Chía forest, Nào Lồng forest, Lapay, Giọt nước forest, etc.) to protect forests, medicinal plants and preserve cultural identities of ethnic minority groups.